2010 January 23 » Change Myself. Change the World. Finally, we have the boxes by the front entry way. 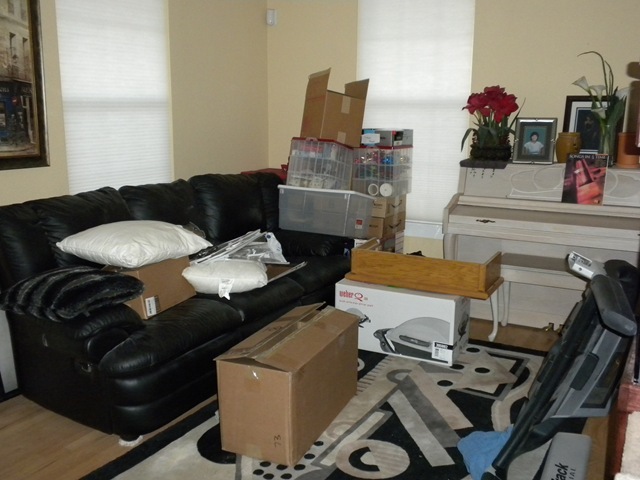 Not exactly a great first impression when you walk into someone’s house to see their stuff piled up. I am still amazed how much I have accumulated over the years. Though I got rid of a ton in the garage sale this summer there is still so much more that we do not want to put back down in our basement once it is finished. That gives me about another month to get rid of all this crap. Looking back on these posts I am realizing that at least half of the rooms in our house are in need of a makeover. Sigh. January 23, 2010 · Filed under 2. Get organized.